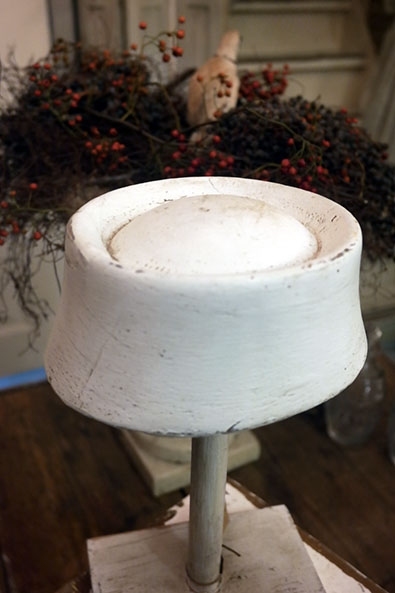 Lovely vintage wooden hat form on wooden stand. 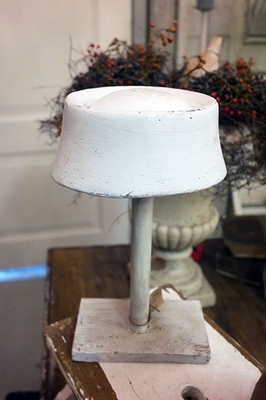 A simple, but very lovely hat form with a fitting stand. The total combination measures approx. 34 cms tall. The hat form itself measures approx. 19,5 x 20 cms and 9 cms tall.